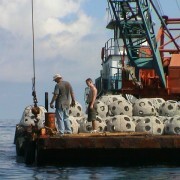 The Fish Reef Project is proud to announce the deployment of its first two test reef balls off Santa Barbara. In the water for just five weeks, the small reefs are already covered with young life, including starfish, barnacles, green algae, dozens of crabs and best of all, the reefs are already home to rockfish and the small halibut who love to nestle right up to the reef’s edge. 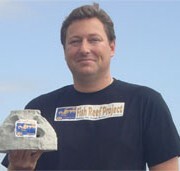 We invite all of Malibu to check out the monthly video logs of the reefs’ progress on www.fishreef.org. The future Malibu reef will be for the entire local community benefit from, learn from and enjoy. This is a ground breaking, cutting edge ocean enhancement project that requires broad-based support and interest from all sides. As such, I have reached across to people who may not share my strong feelings that man has the right to harvest his protein sustainably from mother ocean. 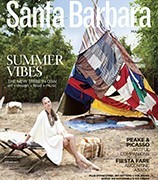 I have met with the Environmental Defense Center, folks related to the Monterey Bay Aquarium, and soon I will speak in front the Santa Barbara Surfrider Foundation, all where there is some common ground. 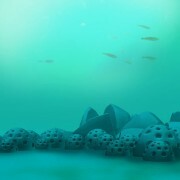 Despite the vitriolic MPA process, we all agree that the ocean and society will be healthier if we find projects to cooperate on and creation of new fish reefs is stage center. We have also spoken in front of the Channel Islands Sanctuary Board where all the government and agency heads had a chance to vet any concerns. Everyone was there, the DFG, NOAA, State Parks, Coast Guard, Chumash, public at large, business, Environmental Defense Center, Channel Keepers, State Lands and the Coastal Commission, etc. Most everyone showed at least tacit support. The only concerns raised were a desire by the Chumash for us to respect any archeological artifacts, and the Environmental Defense Center did ask questions to be sure we did not cause harm to existing reefs. In both cases, we were able to show that we would meet their needs, including offering a ceremonial Chumash name for the first reef. 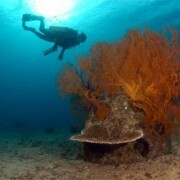 Dedicated volunteers and I have spent thousands of unpaid hours to make the reefs a reality. Generous supporters, such as Kelly Meyer, Ricky Schroder, a well known yet anonymous local film producer, Santa Monica Seafood, Fish Wise and Cathy Lee Needleman of the LA Rod and Reel Club have helped us get this far, but we need to go for broke here. 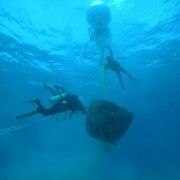 The five-acre reefs cost $700,000 to make and permit and an additional $300,000 to monitor and pay for staff along the way. The FRP volunteers and I have day jobs and we can’t hold on much longer without a significant donation to see us through the creation of the first reef. So I hope Malibu will listen to our offer: For the first donor to step up and donate $1 million—we will name the reef after them, give them a seat on the advisory board and ask their input on location. 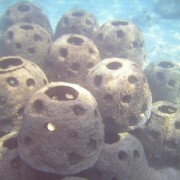 Their name will appear on charts, bluff-side signs, in dive travel books, on Google earth and much more. 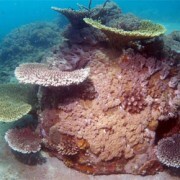 They will be creating a permanent legacy that will bear their name for 100 generations to come and ensure that all who come after them will know that they did good with their money, helped make the ocean strong, and offset human impacts such as runoff, fishing, acidification and climate change. 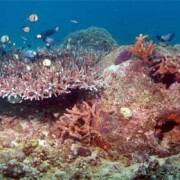 Even after we are all gone, the reefs will still be there giving life. My motivation remains strong. The ocean and the love of it has given me everything I have in this world. The ocean has made me who I am and opened up every door I have ever walked through in this life, and I want only to make sure that young people can continue to walk through those same doors, build strong connections with mother ocean and become brave souls full of wonder and appreciation of the miracle that is the sea. 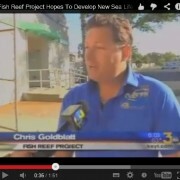 Interested donors can contact us at chris@fishreef.org, or call 831-274-2302. Long live a healthy ocean.